The Proto-Magyars were a Finno-Ugric people living in the steppes of the lower Volga region; in around 880/890 seven Magyar tribes, joined by the non-Magyar Kabar (believed to be a Turkic federation of three tribes), split from the Khazar Khanate, becoming a tribal federation of their own. Under High Prince Almos, they soon dominated the steppe of Etelköz, between lower Volga and the Carpathians, until the lower Danube. In 895, pressed out of Etelköz by the Pechenegs, they moved into the Carpathian Basin, the old center of the Avar Khanate, at first occupying only the plains to the east of the Danube. Here they grazed their herds, well-protected by the Carpathian mountains. From here they launched raids into central Europe - into Italy in 898, in 902 into Moravia, in 915 and 933 deep into the Empire, in 924 into Aquitaine, in 928 to Rome, in 934 into Bulgaria, in 942 even across the Alps and Pyrenees into Andalusia, in 954 into Flanders. The tribal federation was strong under the rule of Almos (858-895) and Arpad (895-907); when a Magyar peace offer was rejected by the Empire, Magyars proceeded to occupy Pannonia (the plains to the west of the Danube, c.900). Margrave Luitpold of Bavaria (889-907), Carinthia and Upper Pannonia (893-907) pursued an expansive policy of his own; in 896 he achieved the submission of Great Moravia; in 907 he lead an army into Hungary, but was defeated and slain in the Battle of Pozsony (Pressburg, Bratislava). Now Magyar control of the Carpathian basin was undisputed; the rival Great Moravian Empire destroyed, Bavaria considerably weakened. The death of Khan Arpad (907) resulted in a competition between tribes/tribal leaders to emerge. The Magyars (the Kavars and Proto-Magyars assimilated into the M.) were pagan nomads, excellent horsemen who found raiding christian settlement an easy and profitable business. The frequent Magyar raids since 907 indicate rather undertakings of individual tribes respectively the followers of one of a group of Magyar tribal leaders than of the entire federation. In a number of cases, Magyars allied themselves with other tribes accustomed to steppe warrior type warfare, in one case even with the pope. In 955 the Magyars were defeated in the Battle of Lechfeld; this was the end of Magyar raids into the west. Raids into Byzantine territory (at times in alliance with Bulgars, Kievan Rus and Pechenegs) continued until 970. The Germans retook the Danube valley west of Vienna, calling it the Ostmark (which developed into Austria). Hungary itself - i.e. the Pannonian basin - was divided into two parts, the western half, under Prince Arpad and his successors, and the eastern half under Gyula Bogat and his successors, lower in rank than the prince, but technically independent. The Tisza river marked the border between both areas. In the years after the defeat, Hungary both east and west of the Tisza underwent a reform. Gyula Zombor accepted orthodox christianity in 953, had a bishopric established at Mitrovica; Prince Taksony requested a missionary bishop from Rome in 961; he encouraged permanent settlement and the introduction of agricultural techniques from Germany; market places were designated. Only in 996 did Prince Vajk accept baptism and the christian name Stephen (Istvan). Stephen was crowned King of Hungary in 1000; in 1003 he conquered the gyula's realm in Transsylvania, unifying Hungary. Archdioceses were established at Esztergom (Gran, suffragan dioceses at Veszprem, Pecs, Gyor, Eger and Vac) and at Kalocsa (suffragan dioceses at Csanad, Gyulafehervar and Bihar. later, Nyitra was added). All Hungarians had to convert to christianity; orthodox christians were converted to catholics, the orthodox bishopric at Mitrovica is not heard of since. Diets were held at Szekesfehervar, where Hungary's kings were buried in the basilica. The introduction of christianity had far-reaching consequences. One of them was monogamy - marriage in the princely/royal family was a highly political affair. Now the king could have only one wife, more often than not this was a foreign princess, leaving the Hungarian noble families with little opportunity to intermarry with the royal family. After Stephen's death in 1038 struggle over succession broke out in which adherents of paganism as well as disaffected Hungarian noblemen fought the protagonists of christianization and foreign influence. In 1046 the pagans were defeated and King Andrew I reestablished the christian state. Feuds over the succession were commonplace. Ladislas began the Hungarian policy of interfering in Croatian affairs, and his successor Koloman in 1102 was (also) crowned King of Croatia, Slavonia and Dalmatia, establishing a Dynastic Union between Hungary and Croatia-Slavonia that would last until 1918. In Hungary the monarchy was omnipotent, owning most of the land and controlling most of its resources. The population density was low, economically frontier country. The kings invited settlers from western and central Europe, from Byzantium and elsewhere, who brought knowhow helpful to develp the economy. Several of Hungary's early kings and their relatives weare beatified - Saint Stephen (997-1038) and Saint Ladislas (1077-1095) being the most famous. Saint Stephen became Hungary's patron saint. After the death of Bela III. conflict broke out over the succession to the throne. Both sides handed out royal estates to dignitaries such as bishops and noblemen to secure their support. The result was the emergence of a strong and powerful nobility. The economic foundation of royal power was even more eroded when King Andrew II. went on a crusade in 1217, which he financed with the sale of royal estates. In 1211 the Teutonic Knights had been invited to take care of the defense of the Burzenland (southeastern Transylvania) against the pagan Cumans. However, in 1226 they were expelled from the country. In the course of the crusades, the communities of Jewish and Muslim merchants had been pillaged, and the consequence was an economic crisis; to replace them, German merchants were invited, who were given privileges granting them the conditions they enjoyed in Germany - German city law. The Golden Bull of 1222 - called the Hungarian Magna Carta - called for a diet to be episodically held in the open at Pest, giving what was to become Budapest the first of it's capital function. In 1237, pagan Cumans fleeing from Tatar pressure were admitted into Hungary; in 1241 a fast-moving Tatar army entered the country. The Hungarians, meanwhile, had been accustomed to fight Europeans and lost their nomadic strategic skills; their army was annihilated in the Battle of Mohi (Sajo River). King Bela IV., had to flee the country; the Tatars withdrew from Hungary in 1242 due to the death of the Great Khan. The invasion had been disastrous; population loss east and north of the Danube is estimated at 25-30 percent. Only a few well-fortified places (cities, most notably Szekesfehervar, and monasteries such as Pannonhalma) had held out. It seemed necessary to resettle devastated regions and to build fortified cities as well as castles. To accomplish this, more settlers were called in from Germany; German communities emerged in southern Transylvania (Siebenbürgen). The Knights of Saint John were also called in. German miners brought in knowhow which made mining at a greater depth possible; mining towns emerged in Upper Hungary (Slovakia, here especially in the Zips region, and in Transylvania. The nobility was forced to properly equip themselves with battlehorse and armour, in order to serve in the king's army. In countryside Hungary, castles were built - hitherto unknown in Hungary. In 1301, King Andrew III. died, and with him ended the Arpad Dynasty. The result was a conflict over succession. The Croatian Sabor elected Charles Robert of Anjou king in 1301; in Hungary proper he was crowned in 1310, after two other candidates, Venceslas of Bohemia- Poland (1301-1305) and Otto of Wittelsbach (Bavaria, 1305-1308) had reigned. It is characteristic that all of these kings had been foreign-born; both feudal and church law were international and high nobility, through a long practise of intermarriage, had created an atmosphere in which a foreigner could be tolerated as king. Still Charles had, in some regions, to establish his rule by force; by 1323 the reunification of Hungary was completed. Angevin Hungary was naturally allied with the Angevin kingdom of Naples and closely allied with Bohemia and Poland. Charles' son Louis the Great was crowned King of Hungary in 1342 and King of Poland in 1370, establishing a Personal Union of both kingdoms. Louis also hoped for the crown of Naples, but campaigns in Italy in 1347/48 and 1350-1352 were not successful. Furthermore, Louis pursued an active Balkans policy, securing Belgrade from Stephen Dusan's disintegrating Serb Empire and forcing the Venetians to withdraw from Dalmatia (1358). In the East, Halich (Eastern Galicia) was gained, placed under Hungary. Louis'reign resulted in numerous achievements, but had several flaws. One was a lack of state institutions outside the monarchy which would hold the Empire together. Another one was the fact that he had no son. Immediately after his death, the Polish-Hungarian union broke apart and Poland, dissatisfied with Louis having resided in Hungary, demanded from future kings that they took up residence in Cracow. With the death of Louis I. the Great, the Hungarian-Polish union fell apart. A few years later the Angevin dynasty ended and the Hungarian throne fell to Sigismund, son of Emperor Charles IV. of the Luxemburg Dynasty. In 1396 Sigismund organized a crusade against the Ottoman Empire, which ended in defeat in the Battle of Nicopolis. Sigismund attempted to implement reforms, in Hungary as well as in the Empire, meeting suspicion and at times open hostility on the side of Hungary's magnates (who controlled most of Hungary's estates and who wished to monopolize the royal council as well). Hussitism was a problem in Hungary, too, as there were Hussite communities in the country and a Hussite bible translation was published in the 1430es. Hussite raids ravaged western Slovakia. In 1437, a major peasant revolt broke out in Transylvania; it was suppressed in 1438. During Sigismund's rule, Venice had reestablished its rule over much of Dalmatia; Sigismund, frequently short of cash, had to pawn a number of cities in the Slovakian Zips region to Poland. Under Ladislas V. Postumus, the wars against the Ottoman Empire, who in recent years had subjugated most areas south of the Danube, were resumed. In 1444 Ladislas V. Postumus lead an army of crusaders, many of them Hungarians, into Ottoman territory, where they were defeated in the Battle of Varna. The country's Diet, in which the landowners - nobility, the church, cities were represented, grew in political importance and here it was the wealthy magnates who dominated politics, as they could afford to stay for lengthy debates while others were pressed for time. In a time of frequently changing dynasties it was the diet which had the right to elect a king. Hungary's next king, Matthias I. Corvinus (Hunyadi) again pursued an active foreign policy. In 1478 he gained Moravia, in the 1480es, Styria, Vienna (1485) and most of Austria was occupied. During his reign, Budapest became a center for Renaissance Humanism. Most famous is the Bibliotheca Corviniana. When preparations for yet another criusade against the Turks were made in 1514, another peasant revolt broke out - Hungary's magnates had used their influence in the diet to pass legislation in their favour, tying the peasants to the farms. The revolt was suppressed. In the South, Turkish raids devastated the landscape. Belgrade fell in 1521, and in the Battle of Mohacs 1526, King Louis II. himself fell while his army was annihilated. Hungary was defenseless against Turkish raids. In the Battle of Mohacs, the Hungarian branch of the Jagiellon dynasty had ended with the death of Louis II. Hungary now was open to Ottoman raids, but also open for Emperor Ferdinand I. of Habsburg to press his claim of Hungary's crown. Hungary's diet in the meantime had elected Janos Zapolyai, the Vajda of Transylvania, king. Ferdinand's army chased him out of the country, fleeing to Poland. He submitted to Ottoman rule; an Ottoman army defeated the Habsburg forces in 1529 and laid siege to Vienna in 1529, without success. The war lingered on; the Turks took Buda in 1541. By now it had become apparent that Hungary was partitioned in three parts - Royal Hungary in the west, under Habsburg control (with core Croatia and much of Slovakia), Ottoman Hungary in the central plains, and Transylvania in the east, largely autonomous until 1683. In 1547 and 1568, peace was agreed upon on the basis of the status quo. Ottoman Hungary was divided into sandzaks (provinces), the highest ranking Ottoman official in Hungary being the Pasha of Buda. Pashas and beys were responsible for administration, jurisdiction and defense. Of major importance to Istanbul was the collection of taxes, some of which were used to pay for the construction of fortification. Taxation left little for the landlords to collect; Hungary's nobility by and large emigrated into Royal Hungary or Transylvania, as did large numbers of Hungary's burghers. Peace was fragile; the Habsburgs pursued plans to both reunite Hungary, to promote the Counterreformation and to continue with their policy of centralization. The Ottomans attempted to use the religious division of their christian opponents in 1620 and, with vigour, in 1683 when they laid siege to Vienna for the second time. In Royal Hungary, pre-1526 institutions such as the Diet continued to function. The Catholic church was in disarray, as during the reformation a significant part of the clergy and most of the populace chose a reformed confession; religious issues were to dominate politics for over a century to come. The Habsburg dynasty stuck to Catholicism and supported the Counterreformation. With Hungary's traditional political centers - Szekesfehervar, Buda, Pest - under Ottoman control, Viennese political institutions such as the Hofkriegsrat (Military Court Council, est. 1556) and the Hofkanzlei (Court Chancellery) extended their area of responsibility over Hungary. The complicated political situation favoured the Habsburg policy of centralizing the administration of their complex patchwork of territories. Another step further undermining the political power of Royal Hungary's diet was the establishment of the Militärgrenze in 1553/1578. Hungary was partitioned in three parts : Ottoman Hungary (the central plain, with Buda, Pest and Szekesfehervar), Royal Hungary in the west (with core Croatia and much of Slovakia) and Transylvania in the east. In the 1540es and 1550es the reformation made great progress in Hungary, to an extent that much of the country's clergy and populace professed protestantism; only remnants of the Catholic church remained, most of the ranks of the Hungarian Catholic church hierarchy were deserted. Among the protestants, there were three interpretations competing - the Lutherans with strongholds in the German speaking communities of Royal Hungary and in German communities in Transylvania, the Calvinists dominating in the lands east of the Danube, and the Antitrinitarians. The Calvinists turned out to be the strongest group, organized in dioceses under superintendents. Gaspar Karolyi published the Hungarian bible translation in 1590. A feature characteristic to Hungarian Calvinism is that the church continued to be administrated by bishops (superintendents); councils of elders, according to the Genevan model, emerged only in the 17th century. The Habsburg dynasty professed Catholicism and introduced the Counterreformation to Royal Hungary. Yet given the volatile politic situation of Hungary, the inquisition had to act with restraint in order not to cause a revolt. Thus progress of recatholization was slow; at the end of the century, ca. 90 % of the Hungarians were protestants. The Treaty of Vienna 1606 granted religious freedom to Hungary's Lutherans and Calvinists; yet in the first decades of the 17th century, the Counterreformation made progress, causing Bethlen Gabor in Transylvania to take up arms (1619); protestants and catholics soon came to an agreement when a Turkish force appeared. The diet of 1620 elected Bethlen Gabor King and dissolved most of Hungary's dioceses. Yet, in the cause of the 30 years War, the Habsburg side held the upper hand, and the Counterreformation made considerable progress at the expense of the protestants. In the Treaty of Linz (1645, complete religious freedom, even for serfs, was implemented for Hungary. The diet of 1646 allocated 90 out of 400 churches claimed by the protestants to them, indicating a great shift in the religious balance. Hungary's protestants continued to be dissatisfied, and from time to time protestants participated in conspiracies or rebellions against Habsburg rule, such as in 1678-1684, at a time when Vienna faced the second Turkish siege. Decisive victories over the Turks established Habsburg rule over a devastated country. The Habsburg administration had gained the upper hand in conflicts with the Hungarian diet earlier in the 17th century; by and large, Hungary, and to a lesser extent Transylvania (since 1690), were administrated from Vienna; in fact Hungary was an Austrian province, in the original meaning of the word. The Habsburg Emperors, recognized as the protectors of the Catholic church, ruled absolute. The Militärgrenze was moved south, in accordance with the present political situation. Religious tolerance was granted - Calvinist and Lutheran communities continued. The Viennese administration discriminated against Protestants; the letter of the law and practiced policy did not match. A major concern for the Habsburg administration was to resettle the vast depopulated areas, an undertaking that took decades. Settlers were called in from near and far, permitted to live according to their respective customs and religion. Thus an ethnic patchwork was created, with pockets of German, Serb, Croat, Slovak settlement on Hungarian soil; the Hungarian ethnicity lost much of its traditional lands. At times the Habsburg faced Hungarian rebellions, such as the one under Ferenc Racocsy in 1703, ended in the Peace of Szatmar 1711; Austrian patience and power held the upper hand. With Emperor Charles VI. having no son, Maria Theresia aimed at his succession. The Hungarian Diet in 1723 approved to the Pragmatic Sanction enabling Maria Theresia to succeed; Maria Theresia was grateful to the Hungarians in her own specific way, attempting to rule in the Hungarians' interest without consulting the Hungarian diet and without appointing anyone to the highest Hungarian office, that of the palatine, until 1765. A number of Hungarian magnates lived at Maria Theresia's court in Schönbrunn (Vienna), Austria's pendant to Versailles. In 1778, Banat was integrated into Hungary, but kept a certain degree of autonomy. Maria Theresia was succeeded by her son Joseph II., who was regarded an enlightened absolute monarch, but also perceived arbitrary. Maria Theresia improved education; many new schools were opened during her reign. Buda and Pest attracted additional central functions, such as a royal palace erected in Pest and the Hungarian university moved there from Nagyszombat. Under Joseph, censorship was removed from church control and taken over by the state; the result was a considerable increase in publications. Joseph ordered monasteries of contemplative orders to be shut down - 138 in Hungary alone. A major blunder was his edict declaring Latin a dead language and replacing it as language of administration and education by German (1784), giving Hungarian officials and teachers 3 years to learn it. They stubbornly refused, demanding Hungarian to become the language of administration and education in Hungary. Finally, Joseph had to give in, revoking some of his edicts. In 1789 war broke out with the Ottoman Empire; Habsburg forces took Belgrade, only to return it to the Turks in 1792. In 1789, sentiment in Hungary was highly rebellious. Emperor Joseph II. in January 1790, in one of his last political acts, cancelled his language edict and a number of other edicts. His brother and successor Leopold II. called for the Hungarian Diet (the first to assemble since 1765). This diet established Hungary to be a free and independent kingdom with its own laws and customs; that king and diet together were responsible for legislation and that the king could not govern my edicts, patents, ordinnances; that Hungary's Holy Crown (held in Vienna) was to be kept in Buda; that the diet was to be called to assemble once every 3 years and taxes only could be approved by the diet; that Hungarian should be the language of education and that protestants should enjoy freedom of religion. The demands reestablished the rights of the Hungarian diet (nobility) and, technically, the country's independence. As far as they left much of the active government in the hands of royalty, they were acceptable to the king, who continued to reside in Vienna. At that time, Transylvania had a separate diet. Hungary's diet was dominated by the country's magnates (landowning noblemen); noblemen made up only about 5 % of the population; in addition, the country's national minorities were under- or not represented. The Vojvodina Serbs, the Transylvanian Vlachs, demanded recognition of their status and representation. There were demands for a political reform benefitting the peasants, formulated by Istvan Martinovics, K. Koppi and J. Hainoczy (1790), including the taxation of the nobles, the etablishment of contracts between landlords and serfs, extension of the franchise, civil rights as well as reforms of the education and promotion of trade and commerce. Leopold II., who had encouraged Martinovics, had died in 1792. In 1794, Martinovics - who by the way was an Austrian secret agent - was found to have established secret organizations planning for the overthrow of the established order; the conspiracy was suppressed by force. With the events in France getting out of hand, secret police was ordered to look out for potential revolutionaries. In Hungary with it's largely agricultural society there was limited potential for such a revolution, as much of the ethnically Hungarian population still looked up to it's nobility for leadership. The ethnic division of the population also prevented the masses to unite against the privileged classes, and the low level of education made the spread of revolutionary ideas difficult. In 1797 France annexed previously Venetian Dalmatia, turning it into the Illyrian Provinces, bringing France's political reforms to Hungary's borders (the Kingdom of Croatia, although technically an independent state, since 1102 was regarded an annex to Hungary). In 1803/1806 the Holy Roman Empire was dissolved, and Emperor Franz now proclaimed Emperor of Austria. His loss of the German Imperial crown enabled the Habsburgs to focus more on their eastern possessions. In central and Eastern Europe, the Age of the French Revolution is the age of Romantic Nationalism. Johann Gottfried Herder, a protagonist of this romantic nationalism in his native Germany and beyond, predicted that the Hungarian culture and language was destined to be absorbed by its Slavic, German and Rumanian neighbours. Hungarian patriots responded by proclaiming the supremacy of the Magyars within Hungary's borders; Magyar nationalism has its roots in the defiance of both Viennese (Austro-German) administration and of the demands of the minorities for recognition of their national cultures. From 1805 onward, Magyar was made the compulsory language of education and administration in many Hungarian counties, in spite of the fact that in some of them the majority of subjects were non-Hungarians - the beginning of Magyarization. Napoleon's armies never entered Hungary. After Napoleon Bonaparte was defeated by the coalition in 1813/1815 and Europe's post-Napoleonic order was discussed at the Vienna Congress, the hold of the Habsburg Dynasty on Hungary was unchallenged. As not so many reforms had been implemented in Hungary during the years of the French Revolution and Napoleon Bonaparte, the policy of Restauration had a rather indirect impact on Hungary - political reforms which potentially undermined Habsburg rule had to be prevented, potential revolutionaries sorted out by the Secret Police before they could do any harm. Austria also was an active supporter of the Holy Alliance and in 1820 ans 1821 sent troops to quell liberal uprisings in Piemonte and Naples, troops most of whom were recruited in Hungary. In 1825, Vienna also demanded taxes to be paid which had been approved by the diet of 1815, but not collected due to the victory over Napoleon at Waterloo. Hungarian leaders were very concerned about the unexpected, high taxation and demanded a Written Constitution which Emperor Francis outright refused. However, he called for the diet to assemble. The Hungarian diet was still dominated by the nobility; it stressed the necessity to hold up the (unwritten) feudal constitution, a demand which indirectly targeted at limiting royal absolute authority. The diet of 1825/27 reiterated demands of the diet of 1790/1791, such as no taxation without the diet's approval and the stipulation that a diet should be called to assemble every three years. These demands were accepted by Francis, as they had been accepted by his predecessor Leopold in 1790/91. The Hungarian diet was bicameral. In the Lower Chamber the country's nobility, clergy and royal cities were represented; in the Upper Chamber high dignitaries of the clergy or nobility or persons with a royal invitation were present; both chambers had to agree if legislation was to be passed. Members of the lower chamber were bound to stick to their instructions. While the diet made little progress in regard of democratic reforms, it set in motion the process which lead to the foundation of the Hungarian Academy of Sciences (1830) which promoted the use of Hungarian language in arts and sciences. Count Istvan Szechenyi, whose donation was instrumental in setting up the Academy, sought to prepare the Hungarians for modernizing reforms by publishing; he criticized the outdated economic system and suggested the introduction of a banking system. Liberalism became the dominant force in Hungary's diet of 1832-1836, which debated the elimination of religious discrimination (against protestants and Jews) and worked toward the emancipation of the peasants, the abolition of serfdom. Hungary's political centers, Buda and Pest, were to be joined by a bridge across the Danube. 1825 had marked a turning point in Hungarian history, as the diet's demands of 1790/91 from now on were implemented, the diet regularly called for and given an active roll in legislation. Although the necessity for political reform was obvious, reform progress was very slow. In 1831 a peasant revolt broke out among the Slovak, Ruthenian and Vlach minorities in the north and northeast. The years between 1840 and 1848 were marked by political debates about the scope, direction and procedure of political reform, both in the diet and in the gazettes, in which Count Istvan Szechenyi and Lajos Kossuth, a law student turned parliamentarian, featured prominently. Newspapers were a major instrument to familiarize the readership - an estimated 200,000 Hungarians subscribed to newspapers - with the democratic procedures and constitutions reformers wanted to implement. Censorship regulations easily could be circumvented by reporting in detail on parliamentary debates in Britain or France. Szechenyi was the more conservative, Kossuth the more radical liberal, but they had many views in common, such as supporting the decision of the diet of 1843/44 to make Hungarian the official language of administration, jurisdiction and education, in the entire kingdom. The diet of the Kingdom of Hungary thus more and more turned into a diet of the Hungarian ethnicity; the minorities - Croats, Serbs, Germans, Vlachs, Ruthenians, Slovaks - felt alienated, did not read the Hungarian newspapers and books, did not feel part of the sentiment towards a reformed, modernized Hungary. In 1843/44 relations between the Austrian administration and Hungary's diet turned to the worse, as economic interests conflicted and Metternich regarded the diet overstepping its bounds in discussing topics such as the status of cities, educational and economic reform. In February 1848, revolutionaries established control over Vienna, paralyzing Austria's government. In the Hungarian diet, meeting in Bratislava, Hungary's administrative capital, far reaching reforms were now discussed when radicals lead by Sandor Petöfi revolted, organizing a Committee of Public Safety which took over the administration of the city of Budapest. The Hungarian diet, under the leadership of Count Szechenyi and Lajos Kossuth, had become more confident and daring in its demands for reform, but continued to accept the Habsburg dynasty as the country's legitimate kings. Emperor Ferdinand V., aware of the momentary weakness of his position, made concessions but supported Croatia's Ban Josip Jelacic in fighting the revolutionaries. In April 1848, the April Laws were passed, which functioned as Hungary's new constitution; Hungary was to be a constitutional hereditary monarchy, parliament to be convened annually, royal decisions required the signature of a minister; representatives of the lower house should be elected; Hungary was to have a separate army, administration and judiciary. Civil rights, such as equality before the law, the abolition of privileges of the Catholic church and of nobility, serfdom was abolished. A major flaw of the constitution was that it did not mention the national minorities, most notably the Kingdom of Croatia, which technically formed a state in a state as Hungary did within the larger Austrian Empire. The Hungarian diet called for militias to be formed, which were to take an oath on the new constitution. The minorities fealt threatened, for instance the Vojvodina Serbs and Transylvania's Germans and Vlachs. At the Pan-Slav congress held in Prague speeches were held describing the Hungarians as enemies of the Pan-Slavic movement. Croatian Ban Jelacic invaded Hungary in August; tension ran high. An Austrian general, Count F.P. Lamberg, coming to Budapest to negotiate, was lynched by a mob, the situation in Vienna itself equally getting out of (Habsburg's) hand. Now Emperor Ferdinand V. resigned; new chancellor Count Felix zu Schwartzenberg accepted Russia's offer to send troops. Early in 1849, Austria's forces suffered setbacks, but with the aid of Russian troops in summer and early fall of 1849, Hungary was occupied. Under military pressure, in July 1849, revolutionary Hungary was finally willing to grant rights to it's ethnic minorities, most notably the Romanians and Serbs (Slovakia and Ruthenia were occupied by Russian troops). However, the revolutionaries were defeated, most of their reforms undone. Men like Lajos Kossuth had to go into exile. Austria's rule had been reestablished in a civil war waged against the forces of parliament. Many Hungarian leaders either faced exile, such as Lajos Kossuth, or execution, such as Count Lajos Batthyany. Austria's chancellor Count Felix zu Schwartzenberg argued the Hungarians had 'forfeited their historical rights'; the diet was called no more, Hungary administrated from Vienna. 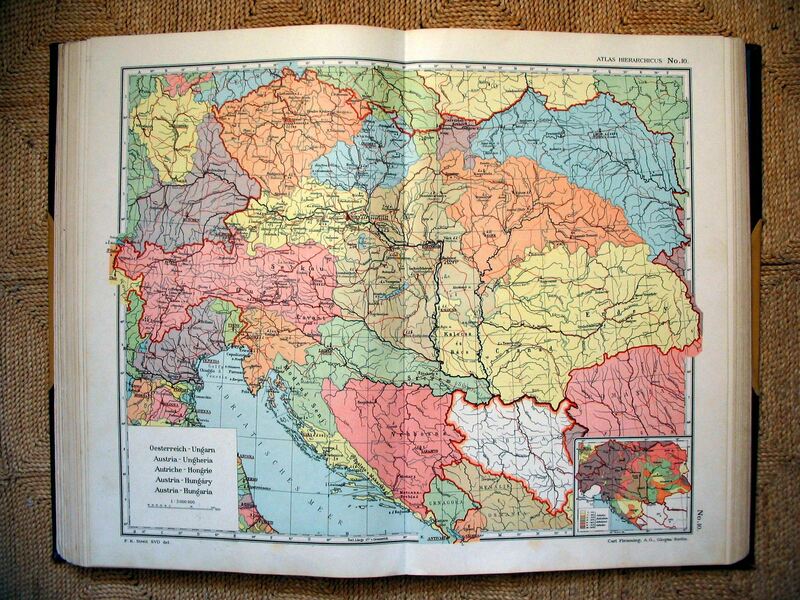 Croatia-Slavonia, Transylvania, the Vojvodina were separated from Hungary. A few laws, such as the abolishment of serfdom, had survived the revolution. In the post-revolutionary years, Hungary's public opinion was split into those loyal to Lajos Kossuth and his exile government, refusing cooperation with Austria, and those who searched to improve Hungary's situation by cooperating. Internationally, Austria was isolated. Russia was displeased with Austria's failure to come to Russia's aid in the Crimean War. In Italy Count Cavour, the prime minister of Savoy-Piemonte, engineered Italy's unification after a successful war against Austria (Battle of Solferino 1859). Worst of all, Lajos Kossuth had been promised French support by adventurous Emperor Napoleon III., and a Hungarian Legion was recruited in France. Bismarck's Prussia took a leading role in the German Federation, contesting the leadership which formally belonged to Austria. In 1866 Austria's army was defeated, Austria forced to leave the German Federation and concede to Germany's unification (without Austria) under Prussian leadership. Old-fashioned imperial policy, of holding on to old claims, refusing political representation and participation and playing a leading role in international diplomacy did not work any more; the number of peoples ruled was too big, the base of those who supported the monarchy - the Germans - too small. After having been defeated by France and Savoy-Piemonte in 1859 and by Prussia in 1866, the Austrian administration realized that in order for the state to survive, an understanding had to be reached with the Hungarians. The result was the Ausgleich (compromise) of 1867, which established the Doppelmonarchie (dual monrachy, of Austria and Hungary). From now on the Habsburg Empire was referred to as Austria-Hungary, its administration as K.u.K. Austro-Hungarian (K.u.K. stands for Kaiserlich (Imperial Austrian) and Königlich (Royal Hungarian). Croatia-Slavonia, the Vojvodina and Transylvania were reintegrated into Hungary. Budapest now officially became Hungary's capital; Hungary's parliament became a permanent institution. Hungary was largely autonomous in internal affairs, the central government (Vienna) responsible for foreign affairs and defense. In Hungary fervent nationalists got in power, pushing for an active policy of Magyarization in an attempt to coerce the ethnic minorities into assimilation. This policy was resented by the minority Croats, Serbs, Slovaks and Vlachs (Rumanians) who over time came to regard Hungarians and Germans as oppressors, while the Hungarians overcame their anti-Habsburg sentiment and became supporters of the Dual Monarchy. In the days after the assassination of crown prince Franz Ferdinand, Hungary's Prime Minister Istvan Tisza was cautious regarding the prospect of a war with Serbia, fearing a Rumanian attack on Transylvania. When the war broke out, Rumania stayed neutral and Serbia was busy defending her borders. Danger came from another direction - the Russian army made unexpected territorial gains and advanced across the Carpathian mountains into Hungarian Ruthenia (Carpatho-Ruthenia). In the winter of 1914/15 the Russians were stopped and then pushed back. In 1916, Rumania joined the Entente; Rumanian forces invaded and occupied parts of Transylvania. A Central Powers offensive began in September, and Rumania was quickly occupied. Militarily, the Central Powers seemed to hold. But within Austria-Hungary, it was only the ethnic Germans and Hungarians who identified with their government and supported the war; within the ethnic minorities, many played it cool, sympathized with the Entente and waited for the war to end. Because of the economic blockade and the lack of workforce on farms and in factories, vital consumer goods soon had to be rationed and a serious lack of food resulted in malnutrition, starvation, epidemics of infectious diseases. When the United States entered World War I on the side of the Entente, President Wilson published his famous 14 points, directly adressing Hungary's ethnic minorities, promising them self-government. On November 3rd 1918 the Austrian government requested a truce; on November 11th, Karl I. abdicated. The Dual Monarchy was is a process of dissolution. Barcsay, Thomas. Banking in Hungarian Economic Development, 1867-1919. Business and Economic History, 2d ser., 20 (1991): 216-25. P.T. Nagy, The social and political history of Hungarian education, n.d.
G. Bencsik, Image and Picture: The Romani People Thesis to the Historical Iconology of the Hungarian Gypsies, South East European and Middle East Studies vol.1 n.d.
Search OSB (Order of Saint Benedict) for Hungary etc. General Accounts Peter F. Sugar (ed. ), A History of Hungary, Indiana Univ. Press 1990, 432 pp. Historical Dictionaries Steve Bela Vardy (ed. ), Historical Dictionary of Hungary, London : Scarecrow 1997, 704 pp.